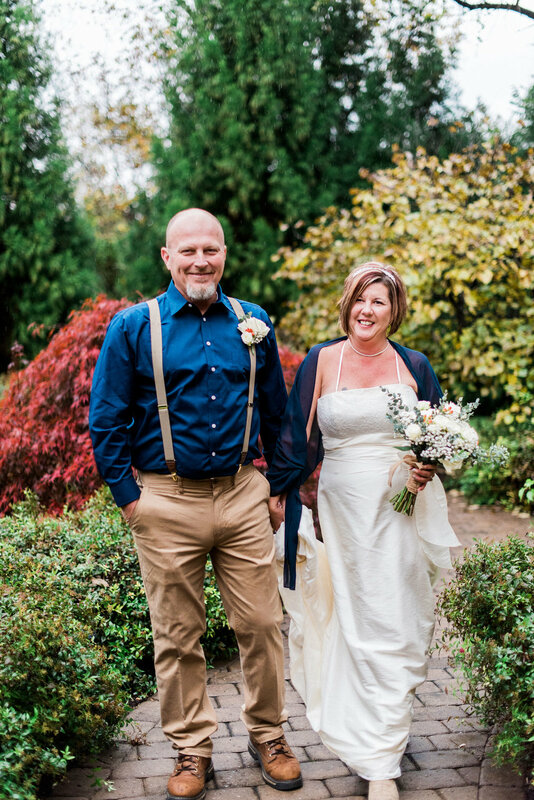 On November 2, 2018, David and Angie stood before their family and friends and renewed their vows on the grounds of Roanoke’s breathtaking Plantation on Sunnybrook. 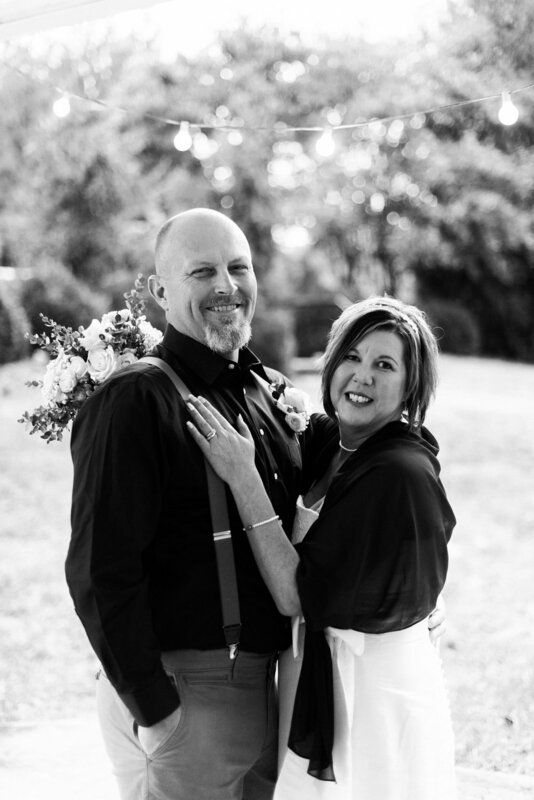 The couple had recently celebrated their 21st wedding anniversary and the day marked the perfect occasion to remember all of the very good times they’ve experienced together. David and Angie first met through David’s sister right after high school. They began dating, quickly fell in love and were married not too long after. After spending 16 happy years being aunt and uncle to seven nieces, they decided to have a baby of their own. 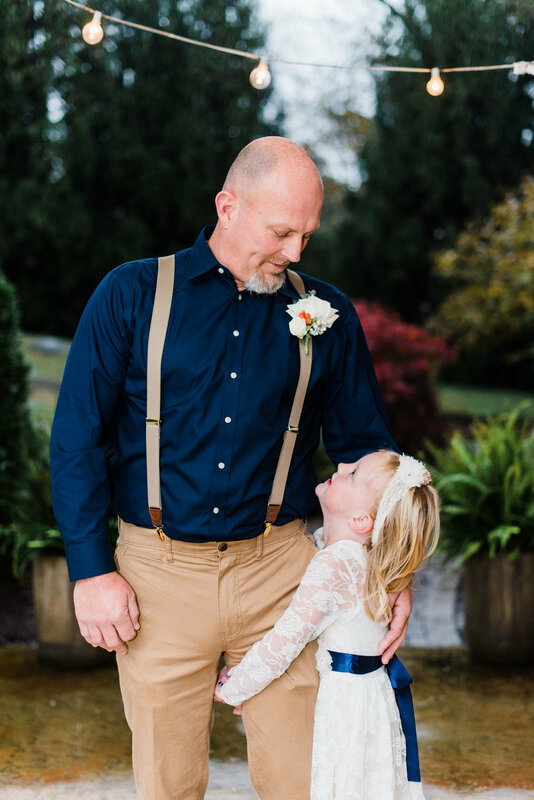 Unfortunately, just two years after their daughter was born, David was diagnosed with an aggressive form of colon cancer that metastasized to his liver. He underwent surgery, numerous rounds of chemotherapy and radiation and continues to meet with doctors to seek out clinical trials. It was David’s dream to renew his vows in front of their sweet little girl and to gift her the gift of a wedding dance with her daddy. Wedding Planner, Caterer, Venue, Cake: Plantation Creations, Plantation on Sunnybrook.